I went to Brighton for the first time yesterday and I loved it! I wasn’t expecting good things honestly, but the weather was great and I finally saw the pier, which I’ve been wanting to see for years! I arrived around 12pm to see thousands of people in the street for the parade, I’ve never seen so many people in my life and for everyone to be there celebrating who they are and their identity was incredible. I’ll go into this more in my personal blog, but I’ll just add that I did take this little one with me… I wanted to take a picture of her by the pier but I didn’t find a good opportunity. Next time perhaps! 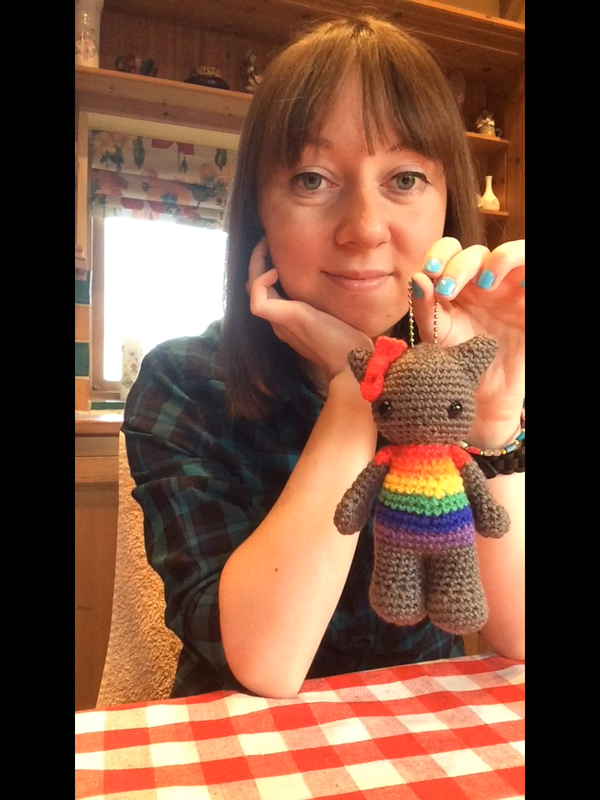 LGBT Keyring – Ready for Pride! Today I booked my train tickets for Brighton Pride! I’m really excited, but as I’m not flamboyant or brave enough to dress bold or colourful, I thought I’d settle for something smaller. I used a smaller hook than normal and played around a little with the pattern. Miss Pride could act as a keyring, but I like her as a handbag accessory. Today I’ve ordered some keychains so I will soon be able to make good quality keyrings. At the moment I’ve used this chain from a handbag, so future creations will have better quality ones. The wool is so soft and light, I love it! The colours are amazing too, I finished this rather late and so took a photo as soon as I could. In the light she is so much more impressive! Will attach this to my handbag tomorrow and see how it looks! 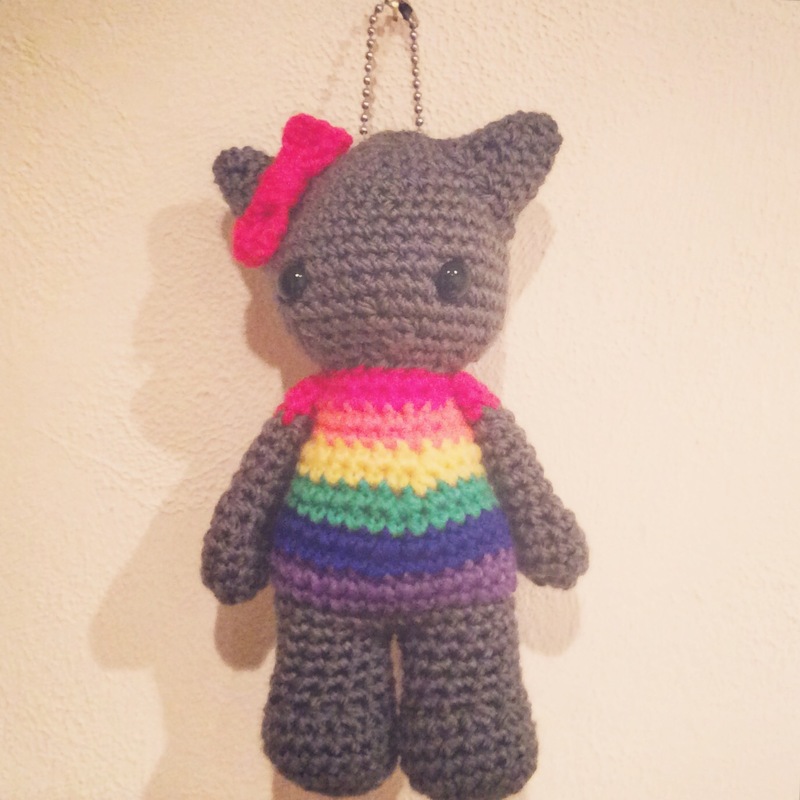 It’s small, but I hope it gets noticed at Pride. She’s too cute not to!